I throw back my head and scream. Somewhere in the house above, there is one who hears me. The one who buried me alive. All of these can distract the house from what is happening within the walls. Be warned. They also make it querulous; pictures are likely to fall from the walls when it regains its awareness. Or worse. Deaths. When angered, the house becomes more dangerous than ever. Unfocused. It might even strike out at an Usher. The house is so huge, and has held its secrets for so long. I need Emily to write, to say she's found a place and that I can join her. I need to get away from here. Away from these horrors. The carefully wound clock in my pocket ticks as the minutes pass. I feel, suddenly, as if time is running out for me. Winston sees me as his victim, but he is wrong. I do not fear pain. I live through pain every day. There is nothing that truly frightens me. Not anymore. I'm not entirely sure what i just read, but I don't necessarily mean that in a bad way. The Usher family has been cursed for generations and it's all connected to the house. I at first thought that the house and the fact that it was "alive" was just some sort of metaphor or an old story to scare children into behaving, but as the novel continues I realized that this is not the case. The house is indeed alive, or some variation of alive anyway. Growing up, Madeline assumed that the house loved her and was protecting her but as she grew older, she understands that the house is evil, possessive, and jealous. Told in a narrative that jumps around in the time, but is in no way confusing, the tidbits of family history and Madeline's own experiences within the house keep the reader in suspense and urge you to keep reading because WHAT IS GOING ON?! Bethany drops info as we need it, not necessarily as we want it. I took an immediate liking to Madeline and I love seeing how her reaction to the house changed as she got older and began to understand the house's motives. She is bound and determined to get her family, especially her twin brother Roderick, away from the house and keep her distance from the doctors that have taken residence in the house to study the family's illness. Her parents end up sending Roderick away to school and although she wishes she could go to school as well, she knows the house would never allow her to leave. She is, as her father informed her, the house's favorite. While there were moments when the plot seemed to drag slightly, these moments just added to the suspense of the novel. The Fall is a creepy book. There where times when, I kid you not, I thought the house was watching me. 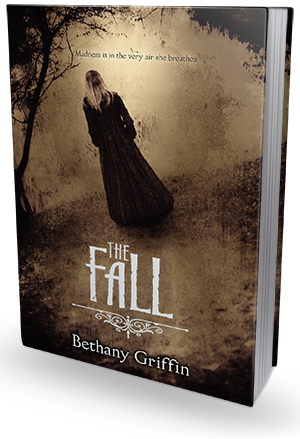 If you're looking for that Halloween read that's wonderfully/creepily written, an interesting plot with a unique narrative that keeps you guessing at every turn, and an engaging main character attempting to escape her family curse, you'll definitely enjoy The Fall. Just maybe try not to talk negatively about the house, it never ends well for those that do.